Will the Largest Oilfield in the World Soon Be the Permian Basin? When you think of the world’s largest oil reserves, the countries that come to mind are usually the obvious ones: Venezuela, Saudi Arabia, Russia, etcetera. It’s true: the current largest oilfield in the world remains Saudi Arabia’s Ghawar Oilfield, producing 5 million barrels of petroleum per day over the last three decades, good for almost 63 percent of the country’s crude oil production during that time. But in the race to tap the reserves in some of the largest fields worldwide, the United States’ own Permian Basin may be a contender for this designation sooner rather than later. 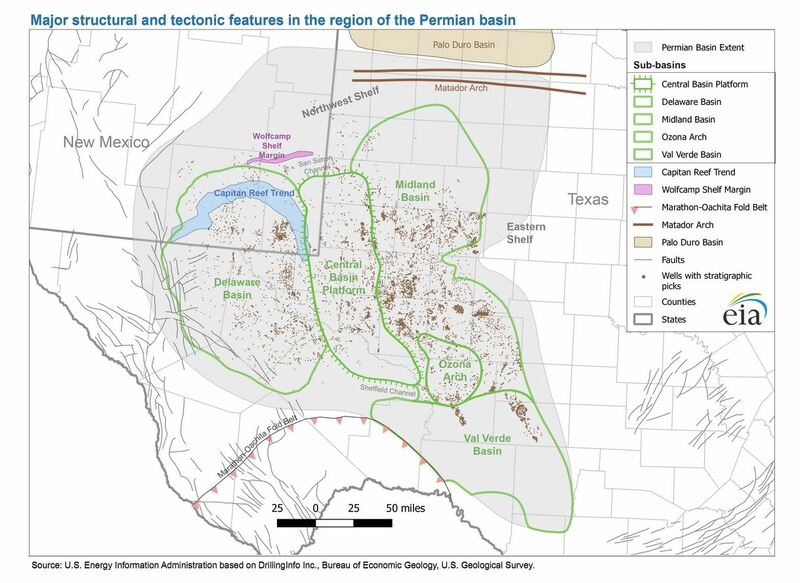 The Permian Basin is an area of prehistoric rock in Western Texas, stretching into an area of Southeastern New Mexico that’s believed to have untapped potential of approximately 60 to 70 billion barrels of oil. Discovered in 1923 when the first well was drilled in Midland Texas, the Permian Basin has now become the largest daily producer of U.S. crude oil and other hydrocarbons, but Bloomberg News projections suggest that it may grow to become the largest in the world. How Much Oil is Coming from the Permian Basin? According to a report from Fortune, the Permian Basin hit a yield of 3.2 million barrels of oil per day in May 2018, good for just under one-third of the nearly 11 million barrels that the U.S. produces per day as a whole. Given that there have only been a few quarters in the last decade in which the region’s daily yield hasn’t increased, it is easy to project continued growth in this huge but relatively untapped reserve. As of April 2018, an average of 449 rigs were drilling for oil in the Permian Basin, but some of the largest oil companies are planning on investing in major increases in the region. ExxonMobil, for example, plans to triple their Permian operations by 2025, according to a statement from the company. How Does This Compare on the Global Scale? As mentioned, the largest oilfield in the world is Ghawar in Saudi Arabia, and the rest of the list is basically a who’s who of OPEC nations. Fields in Kuwait, Iraq, Iran, and Venezuela have long been the largest producers of petroleum in the world. But, if the Permian Basin alone was an entire country, it would rank fourth among OPEC-member nations. As of 2017 data from the U.S. Energy Information Administration (EIA), the U.S. is the largest producer of oil in the world at around 15 million barrels per day. Second is Saudi Arabia, long the global leader in crude oil production at about 12.5 million barrels per day, following by Russia, China, and Canada. Saudi Arabia is the only member of the top 5 who is a member of OPEC. The second and third highest producing OPEC members are Iraq and Iran, respectively, both areas that produce fewer than 4 million barrels per day. According to a source within the industry, the Permian basin is projected to surpass Iran by the end of 2018, and could eventually become larger than the Ghawar Oilfield. 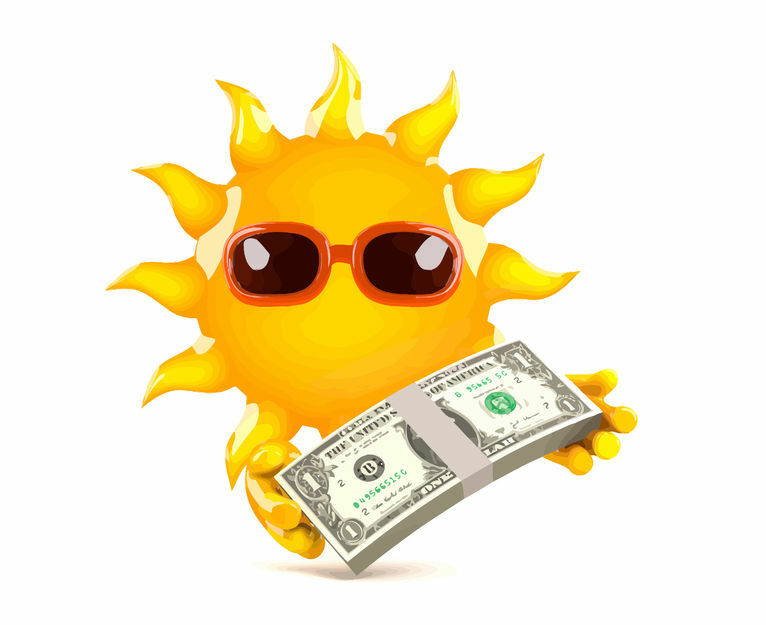 Investment in the Permian Basin has increased exponentially in the past few years, tripling between 2016 and 2018, according to the Fortune report mentioned above. When operations in a region increase, infrastructure lags for a few years to respond to scale. This means that while there has been a massive increase in the number of wells, there are insufficient pipelines to meet potential production as of this writing. 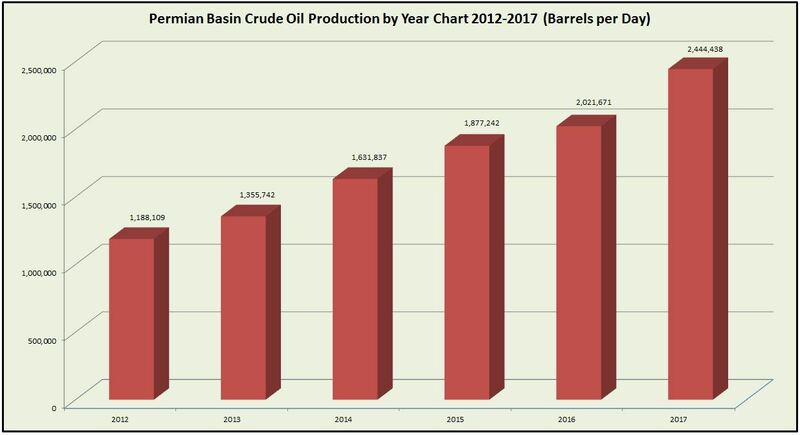 Growth projections for the Permian Basin are so high because once more pipelines and better infrastructure can be constructed in the region, the production capacity is expected to increase accordingly, catapulting the Permian Basin into head-to-head competition with the largest oilfields in the world.